Banana peel demolitions are used for taller, narrower buildings, where there is a danger of the building tipping over should the bottom be cut and the rest of the sequence does not execute perfectly. But first, just how does a demolition work? 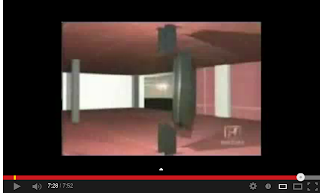 Students of the truth about 9/11 will not be surprised to learn that it essentially is the art and science of causing to happen what cannot happen without careful planning and engineering: all key structural supports in a building must be cut at essentially the same time, so that all pieces are falling at free-fall acceleration through thin air. 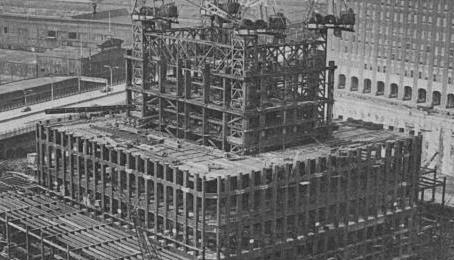 In the below images we see the principle support columns in the "core," an extensively cross-braced steel assembly which served as the backbone of the towers and held 70% of the weight. One standard technique is the use of "cutter' and "kicker" charges, in which the first set of charges, the cutters, cut the steel beam supports at precisely timed intervals, and the kicker charge "kicks" the cut piece outward. 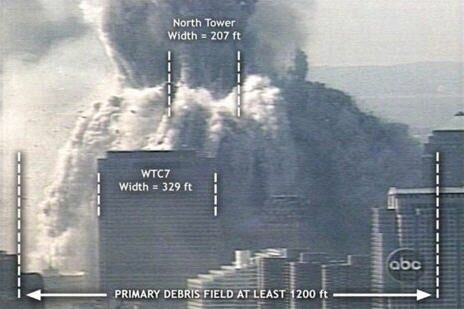 In all the film evidence of the Towers' destruction, straight, cleanly cut pieces of steel beam can be seen spinning outward from the Towers at explosive speeds, across an area at least three times as long as the Towers are wide. Relatively slow burning thermite would have been used to weaken strong points in the structures, such as mechanical floors, prior to demolition. 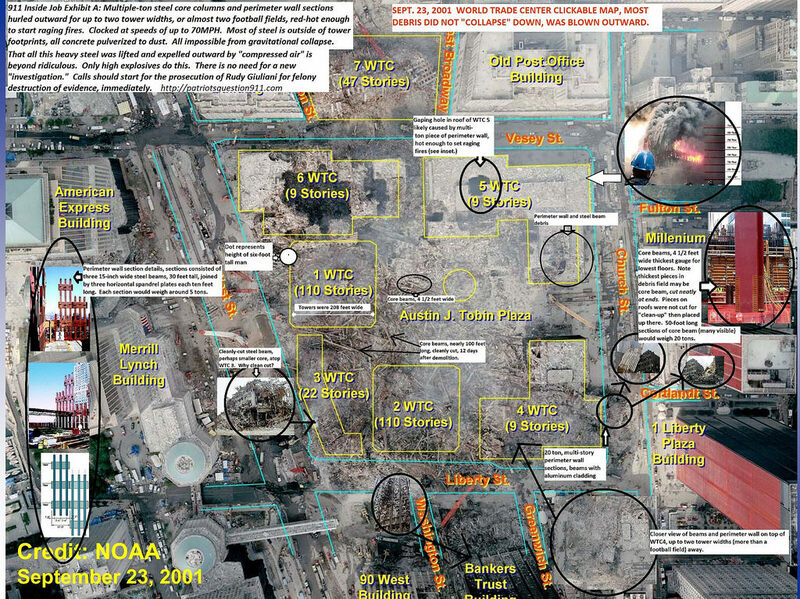 So it is of interest that in WTC 2, molten steel saw dripping at around floors 80 and 81 corresponded somewhat, but not exactly, to the mechanical floors at floors 75-77, below. Molten iron and steel were not observed dripping from the building until about ten minutes before destruction. This would be when firefighters were reporting that the fires were under control and almost out. One thing which stands out about the presence of molten steel in the basements is that it stayed molten for so long, reported for weeks and even months afterward. This would require a powerful exothermic reaction, hot enough not just to melt steel, but to raise its temperature considerably above melting point in order for heat to be stored, in the same way, that water brought to near boiling cools down into the solid state of ice far more slowly than water at room temperature. With the melting point of steel at 2800F, and the thermite reaction reaching temperatures of 5,000F, the reaction would produce enough heat energy to keep steel molten - i.e. in a liquid state - for long periods of time. 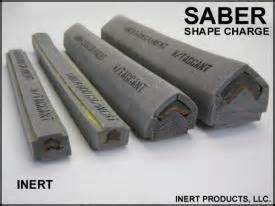 An example of the use of linear-shaped charges, i.e. cutter charges, is below, along with a manufacturer's catalog image. Zakeim, who was appointed Comptroller of the Pentagon by Bush upon taking office, was also in charge of the Pentagon's finances at the time$2.3 trillion was announced missing from the Pentagon, on September 10 the day before 9/11. Needless to say, after 9/11 "the day the world changed," the story was dropped from the media. One favorite contention of defenders of the official story is that the aircraft impacts would have set-off or destroyed explosive charges. 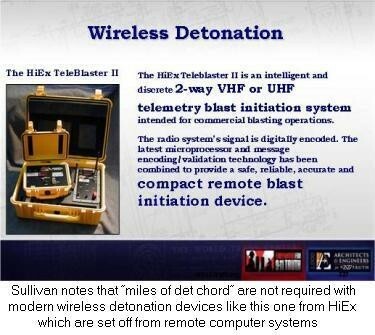 But the loss of a number of charges would be of no consequence in a redundantly "wired" impact zone since only specific encoded signals could actually arm and trigger the entire detonation sequence. As Col. Bob Bowman once said: "If they have nothing to hide, why are they hiding everything?" 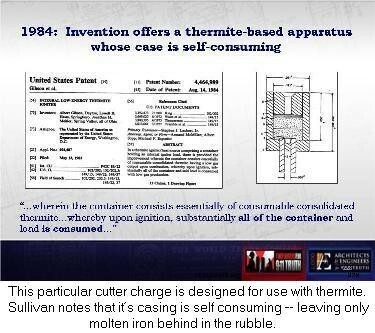 The immediate, illegal destruction of 99.5% of the steel evidence, shipped to and melted in China, ensures that the vast majority of the steel can never be examined and tested to either confirm or disprove the presence of the above demolition techniques. This alone, said Bowman, is evidence of guilt. In the end, the testimony of firefighters and other responders, like Firefighter John Schroeder below, stands as the most powerful indicator of what happened that day. Schroeder, who says he does not believe the official story, and who was on the 24th floor of the North Tower, reports explosions rocking the building from the inside, as it seemed to "disintegrate" from the core and the stairwells. 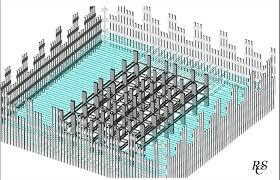 This is precisely the part of the structure which would be most critical to weakening before a final demolition sequence.